Woke up late in the morning..It was around 10am. Siddharth and Mohan got ready for Bandra to meet Abhiram. I was not feeling well with a little fever and severe Neck Pain. Extremely Sorry for that. Felt bored the whole day and watched "Black Hawk Down (2001)" The true story of the United States' involvement in Somalia during an ill-fated humanitarian mission. 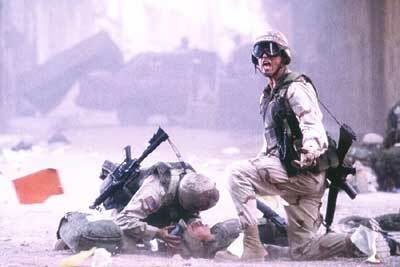 On October 3, 1993, U.S. soldiers entered Somalia on an exercise that was supposed to take less than an hour. The mission turned into a nightlong battle against thousands of heavily armed Somalians. Eighteen U.S. soldiers and more than 500 Somalians were killed as a result of this conflict. At around 7pm Abhiram called me near the station where we met and had one hour talk, with soft drink, he left for Lonawala at 8pm. Current Song: " Yahan ke ham Sikandar..from JJWS"